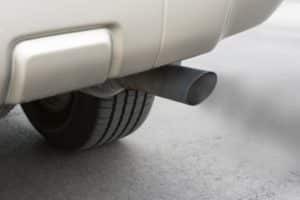 At USA Automotive, we offer expert muffler repair services in the 27604 area of Raleigh to help reduce harmful emissions from your exhaust system. This not only protects the environment; it also protects you and your passengers. Air pollution is a problem that we should all try to combat by doing whatever’s necessary to make our vehicles as eco-friendly as possible.Experiencing muffler issues or suspect that there may be a problem? Bring your vehicle to USA Automotive and receive thorough exhaust system maintenance that keeps your muffler in good shape and your vehicle’s interior air quality safe. When you have your muffler inspected and serviced, you are not just protecting yourself, you’re also protecting your passengers from the harmful toxins created during your vehicle’s combustion process. How? Hazardous fumes can seep into the cabin of your car through vents which can be dangerous to you and your passengers. Let us take care of your exhaust system’s piping and components to ensure safe driving. We Offer 6-Month Financing with No Interest! Our ASE Certified technicians are highly trained and experienced at performing all muffler repair services. We can enhance your vehicle’s performance by monitoring the quality and condition of your exhaust system. Our team can identify and correct anything affecting the overall efficiency of your exhaust, including service to catalytic converters. Without proper monitoring, a faulty exhaust system can affect your vehicle’s gas mileage. You will not only notice increased spending at the gas pump, but you may also fail any emission standards for your vehicle. If your vehicle’s exhaust system is preventing you from passing a mandatory emissions test, then you should bring it directly to our auto repair shop in Raleigh, NC. Our techs can service any exhaust system’s pipe layout and fix any problems correctly the first time. At USA Automotive, we stand behind every one of our exhaust system services, offering an industry-leading 3 Year / 36,000 Mile warranty. Our team is experienced to handle a variety of automobiles, both foreign and domestic. We can customize your exhaust system to yield the high performance you’ve been seeking from your vehicle. We treat your car, truck, or van like it was one of our own, maximizing the desired horsepower, torque, and fuel economy with the appropriate muffler. Besides this, we understand our customer’s desire for a unique sound and performance from their muffler, and our techs are trained to deliver customer satisfaction every time. Schedule Your Exhaust System Repairs Today! 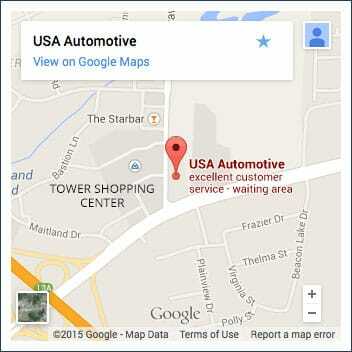 Give USA Automotive a call today to schedule any exhaust system services for your vehicle. We can customize your muffler to perform with the desired power and sound you want. If you notice any excess smoke or harmful emissions coming from your muffler, don’t hesitate – bring it to our team as soon as possible! Failing any emissions test is an inconvenience, but scheduling your next appointment for muffler repair isn’t. Use our easy and quick online scheduling form to make your next appointment, or just give us a call. We’ll get your exhaust system fixed in no time and ready to pass inspection. We look forward to serving you!